Dr. Diane Asmar (“Dr. Diane”) attended the renowned Tufts University School of Dental Medicine, which she found extremely challenging and rewarding at the same time. Some of her fondest memories include providing dental care to underserved communities alongside her professors and classmates. 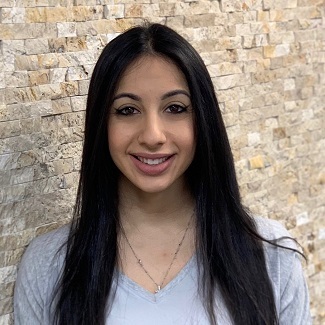 She joined our Midland Park Family Dentistry team after completing dental school in 2017 and we are thrilled to have her as a member of our trusted staff! Dr. Diane enjoys the opportunity to help patients get out of pain quickly, making a positive difference in their lives right off the bat. At the practice, she loves the emphasis placed on offering the best care alongside incredible technology—including our in-house CEREC machine and laser treatments. Dr. Diane has taken continuing education courses relating to both and looks forward to future coursework in order to provide her patients with the absolute best care possible. When she isn’t helping patients achieve the smile of their dreams in the practice, Dr. Diane enjoys spending time with her husband, who she married in October 2017. Dr. Diane is also a self-proclaimed fitness and nutrition junkie, though she also enjoys whipping up a new baked good in the kitchen. Get to know more about Dr. Diane when you visit us for your next visit. We look forward to welcoming you to our practice.